If a European river cruise is on your bucket list, make 2019 the year! Johann Strauss was inspired to compose the Blue Danube Waltz from his love of this wonderful river. Your Danube River cruise gives you the opportunity to meet the people, visit cities, and immerse yourself in the culture of (depending on cruise selected) Hungary, Slovakia, Austria, Serbia, Romania, and the Czech Republic. Soak in the romantic violin music of gypsies and the great classical pieces of famous composers. Click here to browse all of our Danube river cruises. I am writing you this note because I want you to know what a great employee you have in Robin! We have worked with her now for at least two if not more cruises, and she always handles everything quickly and promptly and with ease for us. We have had to change dates a couple of times with the latest cruise we are booking with your company and she always handles it graciously and with ease. Robin is great to work with, and with customer service as good as hers is we will keep coming back to her for our travel needs! Thanks! 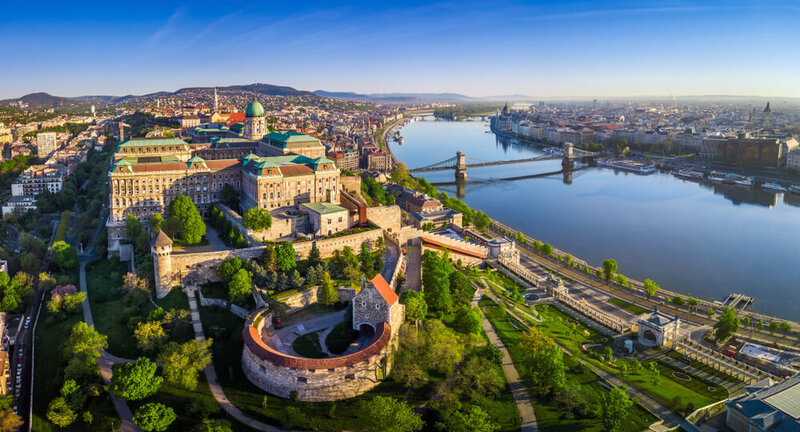 — Tyson B.
Danube River cruises are probably on your bucket list, and we want to help you cross this dream off by booking you on a great cruise. We know the Danube River cruise companies and can get you the best deals and discounts available. We’ll help you make your cruise the adventure of a lifetime. Give us a call at 1.888.804.CRUISE (2784) to learn about all the Danube River cruises 2019. We’ve provided a small sampling of cruises below, and we’ll be delighted to book the perfect Danube “Bucket List” cruise for you. Enjoy an exciting adventure on the Avalon Visionary. Spend your time in Budapest exploring historic sites, shopping for unique and beautiful handcrafted items, and visit the Royal Palace grounds. Cruise between two countries as you head to your next port of Bratislava, Slovakia with its old-world cobbled streets and stone buildings. There is so much to see and enjoy including the Hofburg Imperial Palace and the Vienna Opera House. The beautiful city of Vienna is where your cruise ends and memories begin. Avalon’s Active & Discovery sailings are so much more than a cruise. You are invited to not only see, but truly engage in the culture. From art and language classes to hiking and bicycle tours through the countryside, Avalon’s Active & Discovery river cruises will allow you to experience Europe like you never imagined. Begin your dream cruise in Budapest, known as the “Pearl of the Danube” and Hungary’s capital city. Take a sight-seeing tour to access many of the beautiful parts of this exceptional European city. In Visegrad, Hungary you can attend a Tournament of Medieval Knights at the majestic Lower Castle or visit the talented artisans at Palotaház to observe paper-makers, stonemasons, and potters making items using ancient techniques. Vienna, Austria offers a potpourri of activities including fascinating “insider tours” and other sightseeing options. In Krems-Wachau Valley & Strudengau, there is much to see and do. Perhaps you’ll choose a canoe guided tour or a guided bike tour. Later enjoy cruising the beautiful Strudengau. Grein-Mauthausen-Linz engage guests in guided bike tours or other visits to historic sites such as the 9th-century elegant St. Florian Monastery. Your last stop is Linz. Enjoy visiting beautiful Baroque period buildings, the old town’s main square, and other fascinating points of interest in this Austrian city.